If you’ve made it this far, you’re most likely curious about the differences between vaporizing and smoking, and why vaporizing is being viewed as a safer alternative to smoking. Smoking is the action of inhaling burnt mater, often of the plant. Despite the numerous medicinal and therapeutic benefits of consuming marijuana, inhaling burnt plant matter is absolutely detrimental and inflicts tangible damage to the respiratory system over time. 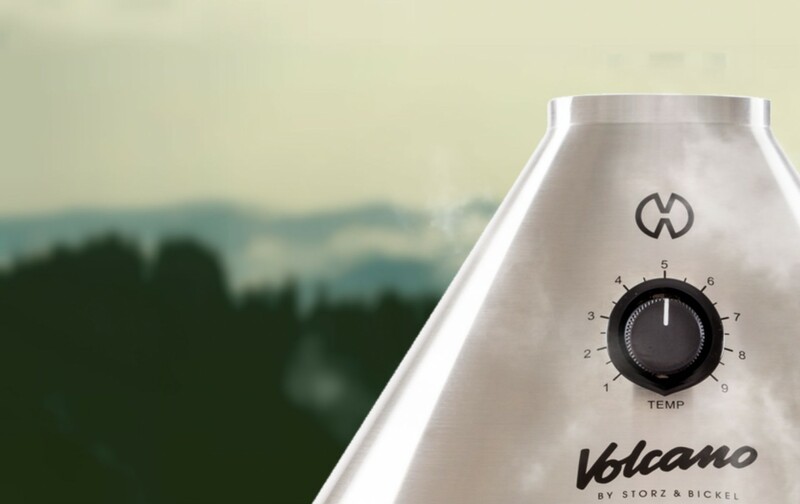 Vaporizing, on the contrary, allows users to safely ingest cannabis while avoiding combustion of herbs and the subsequent ruinous effects of burnt weed. When you smoke marijuana, you are inhaling not only active ingredients, but also a plethora of harmful chemicals that come into contact with your airway and lungs before finally being absorbed by the bloodstream. Although a concrete associating between marijuana smoking and deadly respiratory illnesses like lung cancer is not yet clear, it has been shown in numerous studies since as early as the 1970’s and as recent as 2014 that cannabis smoke contains comparable levels of carcinogens and harmful toxins as tobacco. Thankfully, vaporizers have become a mainstream staple in the marijuana community, providing users a safer alternative to smoking. When you use a vaporizer to ingest cannabis, you are heating marijuana at a significantly lower temperature than that would burn the herb (point of combustion) and basically bake the cannabinoids out of the weed. By doing this, vape users are able to experience the active ingredients of herb without the harmful byproducts associated with smoking. By avoiding combustion, vaporizers essentially serve as a tool for distilling the good properties of weed while leaving behind the pernicious elements. One of the most often overlooked differences between vaping and smoking is marijuana conservation. When you burn weed through combustion, you are torching the plant at such a violent degree that a significant amount of its medical value is lost in a cloud of smoke. Think of a burning joint and consider all that wasted marijuana that freely floats to the sky un-absorbed. Alternatively, by vaping your herb you are effectively inhaling every last bit of the plants active ingredients with little to no waste. When it comes to difference of the “high” produced by smoking as compared to vaping, the differences are varied and subjective. Put simply, vaping marijuana will give you the full effect of THC and CBD without any of the insidious and intoxicating results of inhaling burnt plant matter, while smoking will blend the effects of THC and CBD with a myriad of other toxins and inebriants. For the seasoned marijuana smoker, vaping may lack the intoxicating effects they are used to from inhaling all the additional byproducts of combusting weed. Despite this, smokers will find that vaping produces a cleaner, more honest high without the sluggish hampering of the repository system that smoking induces. If you elect to smoke your herbs, you’ll surely encounter rough coughing, shortness of breath, and a truncated level of physical activity, but if you choose instead to vape you can enjoy all the wonderful benefits of marijuana without the damaging effects on your health and lifestyle.